This church houses two bells in a western bell cote. 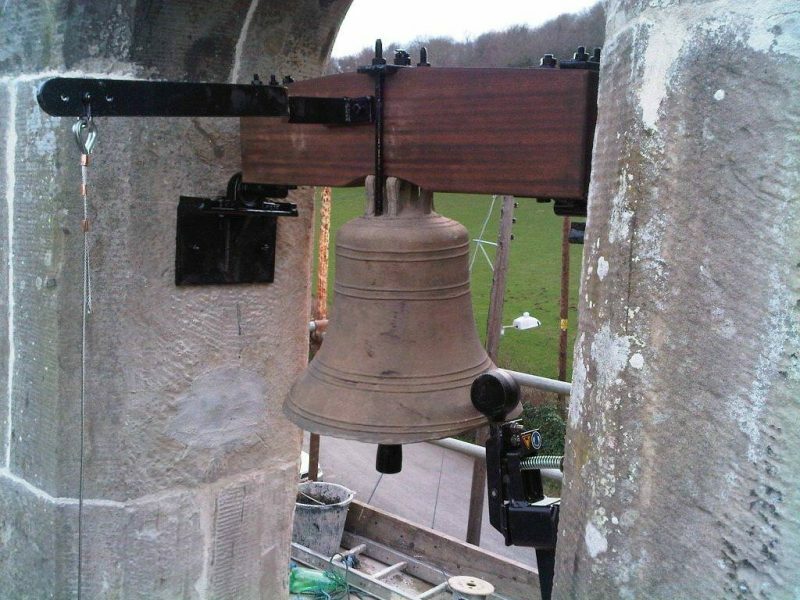 Having recently already rehung their modern Taylor bell on new traditional fittings for swing chiming, this church has now placed an order for the restoration of their other bell which dates back to the 15th century. The bell will be conserved, and multiple crack in its head will be repaired by specialist bronze welding. At the same time the broken canons will be restored by welding. New traditional fittings for swing chiming will be manufactured before the bell is rehung with its modern neighbour. A similar bell after restoration.